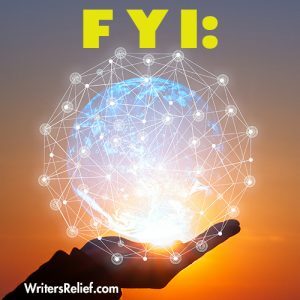 Interesting News for Writers - Writer's Relief, Inc.
“Not one syllable of what Hemingway has written can or will be missed by any literate person in the world.” About Across the River and Into the Trees by Ernest Hemingway (1950). “‘Catch-22’ has much passion, comic and fervent, but it gasps for want of craft and sensibility.” About Catch-22 by Joseph Heller (1963). “Mr. Forster … evinces neither power nor inclination to come to grips with any vital human problem.” About Howards End by E.M. Forster (1911). Read more of these famous books that received scathing reviews from the New York Times.